Joan Wadleigh Curran is interested in objects that exist on the periphery of our daily experiences and are often overlooked. Wadleigh Curran focuses on moments when vegetation and human material merge, producing visual contradiction. 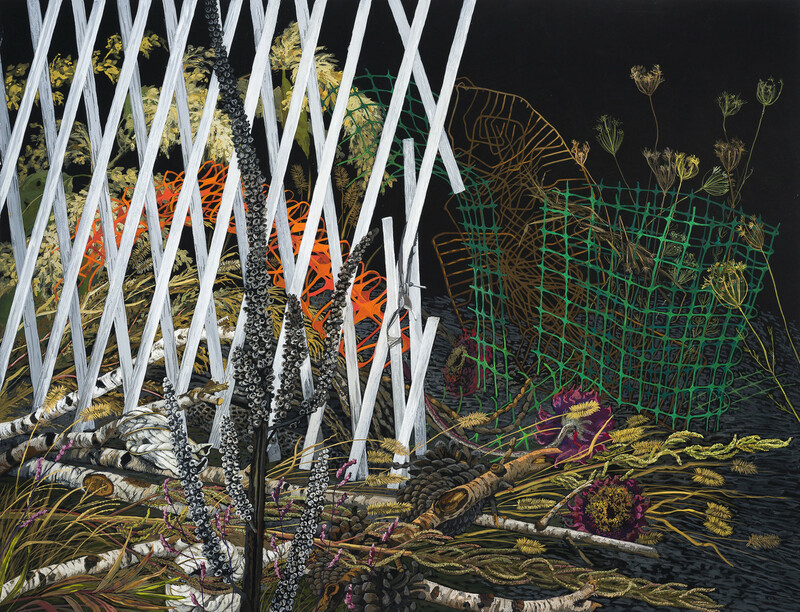 Cropped, pruned, and twisted forms of plant and man-made objects co-exist in her unsettling paintings and drawings that explore growth and decay, regeneration and reclamation.